As results of the civic polls in Aurangabad began pouring in on Thursday, it became clear that All India Majlis-e-Ittehadul Muslimeen (AIMIM) is increasingly cornering Muslim votes in Maharashtra. The trends indicated that MIM was winning at 22-25 places, much ahead of Congress which was poised for victory in 10 wards in the municipal elections. 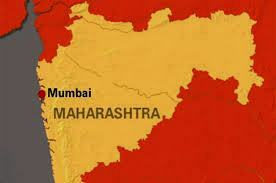 Though Shiv Sena-BJP combine [mahayuti] is way ahead and emerged victorious, MIM would be a strong block in the opposition. 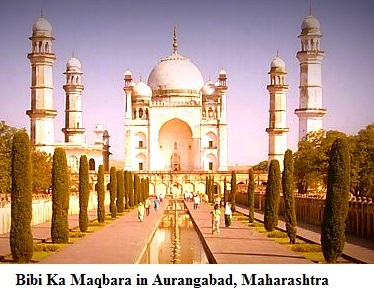 Trends indicate it could have around 25 members in the Aurangabad municipal corporation. Congress has been routed in the election. The victory of MIM in so many wards at the cost of Congress will lead to fresh charge that MIM's entry divides the so-called secular votes, but the truth is that the party is becoming an option for Muslims outside Telangana too. From Nanded to Mumbai, everywhere in Maharashtra, large number of Muslims have been voting for MIM. Why Muslims in Maharashtra are voting for MIM, even though they know that a division in non-BJP votes, would help the BJP. he reason is quite simple. During the last 15 years of Congress-NCP rule, Muslims felt that the so-called secular parties didn't seem serious for the uplift of Muslims. From failing to implement Sri Krishna commission report on Mumbai riots to police excesses, refusing to help Muslim youths falsely accused in criminal cases, the Congress-NCP regime was no different for Muslims than the previous BJP regime. Take the case of Muslim reservation in Maharashtra. If Congress wanted they could have brought the ordinance long ago. But it was just before the end of their term that they brought it. And after a court order on Maratha-Muslim reservation, when the bill was brought afresh, the BJP government had come to the power and they went ahead with just reservation for Marathas (not Muslims). In fact, while the Mumbai high court had stayed reservation, it had allowed 5% reservation to Muslims in educational institutes. It was tenable and the BJP, as expected, didn't bring the bill in the house and only went ahead with Maratha reservation, but what about Congress? Congress clearly took the decision with polls in sight, as it had realised there was strong anger against it. But the ploy didn't work. Congress lost the voter. With MIM emerging as an alternative, Muslims who were most loyal to the Congress and kept supporting it for decades are now voting for MIM, despite the fact that it will consolidate BJP-Shiv Sena vote. While many Muslims talk about MIM as an alternative, there is also a section which feels that the Hyderabad-based party would get a few seats here and there, but its presence will damage Muslims in the long run, as there will be more competitive communal rhetoric. "Even though there are 70 Muslim MLAs in the Assembly (mostly SP), none raised the issue of Muzaffarnagar riots, so what's the use of 70 silent legislators. Let's have just 5 or 10, but those who are not dumb, who will speak for the community and who won't have to look at their party leader before opening their mouths". So there is a section among Muslims that wants MIM to contest elections in other states like UP and is inclined towards the party's style of politics. How far the MIM will go and how much it will help or harm the Muslim community, electorally, we can just speculate. But, Congress will clearly be the loser. Similarly, other non-BJP parties that get Muslim votes will also feel the pinch. This will surely be advantageous to BJP. However, after decades of feeling cheated and denied basic development and focus on their issues, a lot of Muslims seem to be in a mood to try the alternatives. They seem prepared to look beyond the fear that BJP will be benefited if Muslim vote gets divided. After all, BJP has been in power at the centre, and in many states for decades. Will Muslims vote for MIM only in selected states and cities that have large Muslim population, or this trend will pick up across India, has to be seen. Check the links to read about the reasons Muslims in Maharashtra have been bitter about their experience with Congress. Maharashtra has just over 10% Muslims but 30% prisoners in jails are Muslims. *Why Muslims not willing to vote for Congress anymore?